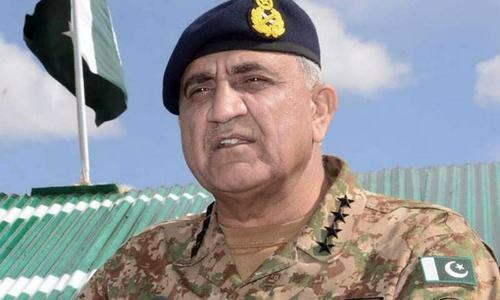 IN what appears to be a breath of fresh air, the military leadership has given the broadest hint yet that it wishes to work with the people of ‘erstwhile Fata’ to resolve their grievances. “Erstwhile Fata and Khyber Pakhtunkhwa bore the brunt of the spillover of terrorism from Afghanistan; faced terrorists on their own soil and in their homes; and finally when action was launched by the state forces to clear the area of terrorists they became IDPs (internally displaced persons),” Maj-Gen Asif Ghafoor told ARY’s Arshad Sharif in an interview this week. Elaborating, he said, there was not a single street in the province where there were no martyrs’ homes, and said that now that ‘kinetic’ operations were over, the second phase of the war against terror had to be launched and that was the rehabilitation of the affected population. For far too long, we have pinned this label or that on anyone peacefully articulating a view that may not echo the state’s narrative. “The time has come to put salve on their wounds (unke zakham par marham rakhna hai) as they have lived in constant pain for such a long time,” he added. Responding to a question, he said the establishment could work with the Pashtun Tahaffuz Movement which was a non-violent entity. 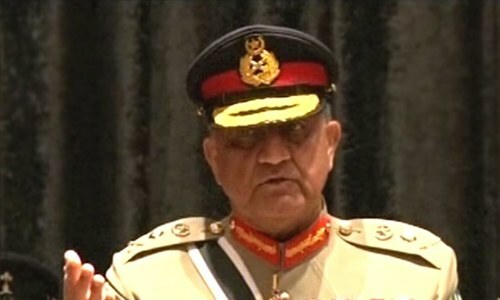 “We seek their cooperation in addressing the issues of the people of the erstwhile Fata as this is vital for national cohesion,” the military spokesman said. This, of course, was in sharp contrast to his warning last month to the PTM not to ‘cross’ the red line and face the might of the state. It represented a welcome change of heart. When his attention was drawn to a statement by him in September, Maj-Gen Asif Ghafoor explained that with the kinetic operations all but over a new war-like effort was needed in order to ensure rehabilitation of all those affected, so they felt cared for and wanted. Referring to restoration of peace after huge sacrifices by all law-enforcement agencies including the military, paramilitary and police forces and the nation at large, he said the sights and sounds of the New Year’s Eve celebrations across the country were an uplifting event and marked a return to normality. In his first reaction, PTM-affiliated MNA Mohsin Dawar was guarded and expressed the hope that the words would be followed up by action. Just weeks earlier, Dawar and his PTM parliamentary colleague were prevented from flying to the UAE by immigration because their names were on a watchlist. To this day it is not clear exactly which department put their names on the list as the prime minister said he was not aware of any such restriction and the interior ministry he heads also denied responsibility. It may be that the prime minister raised the issue with the security establishment and counselled a different approach. The PTM demands include a probe into the disappearance of innumerable people during the long dark night in erstwhile Fata, alleged extrajudicial killings, demining of their heavily mined terrain which continues to claim victims — both civilian and military — and a stop to what it calls humiliating stop-and-search at many checkposts in former Fata. If the change in the tone and tenor of the military spokesman was a reflection of a change in institutional thinking on the ticklish issue it can only be lauded as at least some of us have long-maintained that being inclusive is the best way forward. For far too long, we have opted for the much easier, and dare I say self-defeatist and perilous, path of pinning this label or that on anyone peacefully articulating a view that may not echo the state’s narrative and treating them as one would a hostile foreign entity. 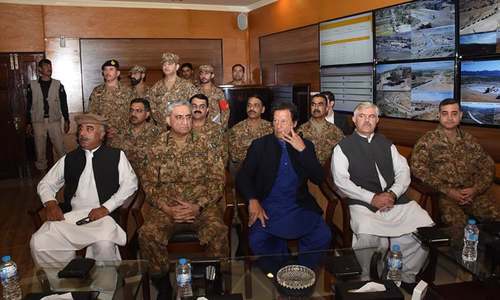 Side by side with the military move to secure the support of public representatives from Fata, it is incumbent on the KP government to do all within its power to make the merger of the former tribal areas with the province a reality. The cost of failure or even delay is too horrible to contemplate. Against the backdrop of the positive statement by the military, can one also make another plea to the institution? I was not alone in looking at photographs of the Waziristan visit by a group of religious leaders belonging to Deobandi/Salafi, Barelvi and Shia sects among others with some trepidation. It is clear that the terrorists have long relied on their own warped interpretation of religion to motivate their rank and file and justify their murder and mayhem. Perhaps, the visit was aimed at conveying to the terrorist that the many religious leaders, even those with militant cadres in the past such as Fazlur Rahman Khalil and Mohammad Ahmad Ludhianvi, are now standing with the state. But to me such an exercise runs the risk of appearing synonymous with biting off your nose to spite your face. So far the prevalent wisdom in powerful state institution has advocated mainstreaming of the militant parties. There is no guarantee such empowerment can or has worked anywhere. 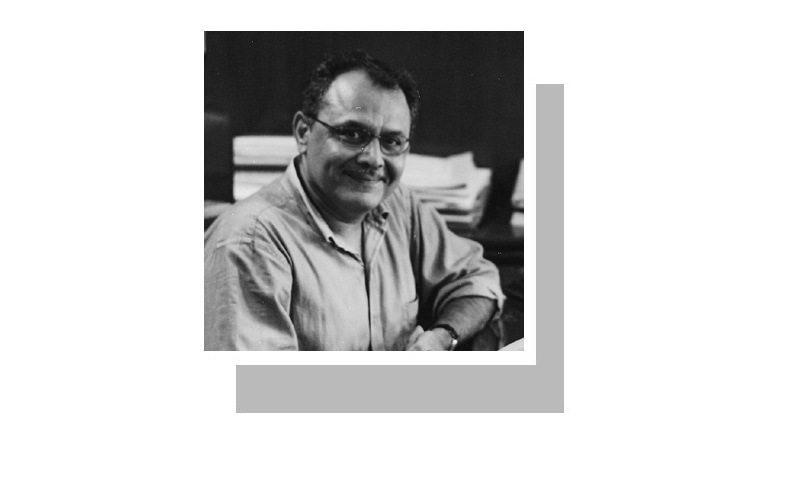 As the recent action against Khadim Husain Rizvi’s TLP and its leaders has demonstrated that when the writ of the state has been enforced unambiguously, it goes a long way in marginalising even a powerful, emotive movement that was transforming into a violent entity. As the state gains the upper hand in the fight against terrorism and intolerance, having offered untold blood sacrifices, it is imperative that the so-called policy of mainstreaming is reopened and looked at afresh. Need I add anything to this articulate message? Terrorism can only be reduced by improving the economic situation of the common FATA people. Drones and weapons have not proved efffective.